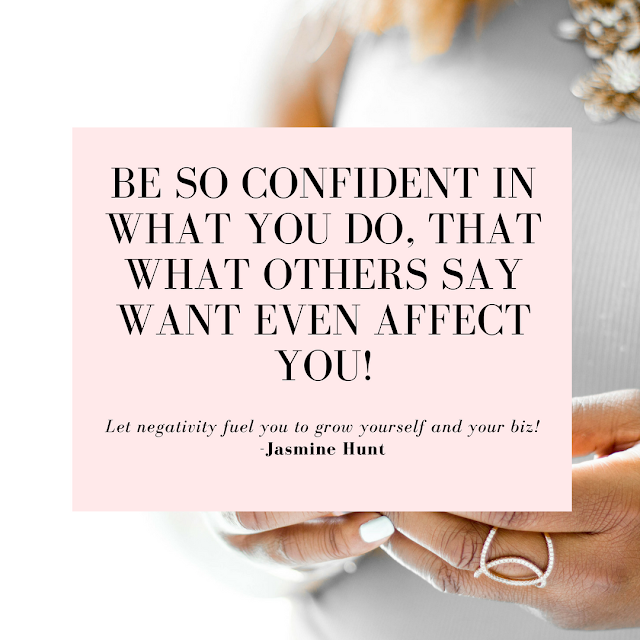 How Negativity can Fuel your Business! Today is a special day because I'm coming out with a series that has literally been buzzing around in my head for months now! It's called the GIRL BOSS CHAT, ok so the title isn't ground breaking buuuut the name say's it all! This video series is all about helping girl bosses, new and old, develop their best selves. My goal for this series is to encourage anyone watching that their struggles are our struggles. We have been there and we have done that and I want to give helpful advice that will serve you and your biz. Every Wednesday (yes I will stay consistent haha😅) I will answer one of your questions. I will focus on questions that we all have been through. I will take to my Insta-Stories to ask you what you want to see the most and that's exactly what I did for this first video! I leave the poll up for only a few hours and It was a close poll but Negative People took the win! So I wrote up my script, turned on my camera, and got to talking! This is a topic that I really wanted to talk about because I know we all have been there. Especially if you are working towards a success online business. People don't understand what we do and often times will belittle those who are doing something completly strange! The first Q&A was from a girlboss I seen in a facebook group and this really got me fired up! So when I decided to fix this poll I had her in mind! Negative people are a given in our lifestyle but I want to give you tips that will help you deal with those who don't understand, who are jealous of you, and who just wants to see you fail. If I let every comment get to me I would have stopped over 5 years ago! I started off as a blogger and at the time I didnt realize how much people new little about it. It was hard to explain to people about it. Transitioning my blog a year ago into a business made that confusion even more profound. "What are stock photos?" "So you sell photos online, how does that work?" "Why are you doing that?" When I first started this crazy biz I didnt have a clear plan or message in place so I would stutter and confuse them even more. That's why it is important to have a clear plan and purpose for your business to make it easy to explain. So I perfected my craft. Learned exactly what I was doing so when others asked me what I did I could tell them with clear assurance and confidence. Having the right people in place to help me along my journey has truly been my source of motivation. For every negative person their was a positive person to give me advice. There has been many times I wanted to give up but EVEN my mom said "no, jasmine don't give up, keep working, you are doing great things." When I felt I wasn't doing anything and things wasn't working she made me realize that I've come a long way. My mom and dad really don't understand all that I have to do. However they try to learn more about it and they root me on. My dad always says he's proud of me. I'll share photos from clients with my family and they cheer me on. So if you don't have people in your life to boost you up...FIND THEM. They are out their. When I first started my business I took to a facebook group because I was so nervous to launch this crazy stock photo biz thang! But they encourage me to not give up, that my photos were well needed! I had to realize that myself and add that to my "why" lists. My why list has helped me get through this because I know that I have purpose for all of this. 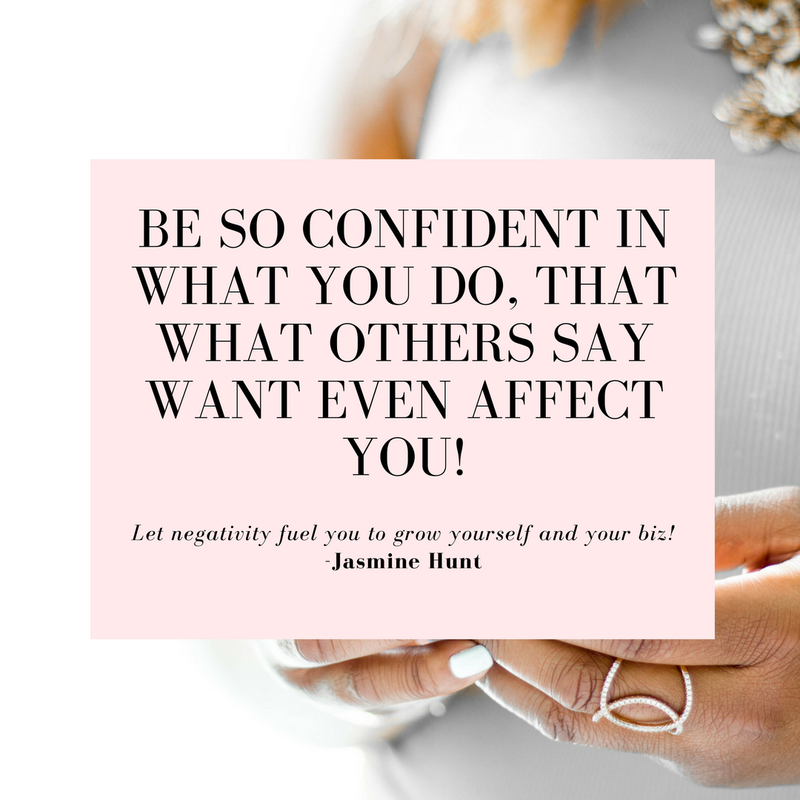 I let that negativity from others fuel me and I want to help you do the same thing! Check out the 1st video in the series and whenever you are feeling down re-visit this video because IT WILL HELP YOU! below let me know how you deal with negative people? Then let me know what questions you have for me because you never know when you'll be featured in the next video! Sometimes it's hard, but I always remember that a lot of times, their negativity is proof that I'm doing something right. I do try to listen past the surface and see if there's anything I can learn because sometimes they might have a point. Just not presented in the right way :). I've encountered many negative feedback on my blog and my artworks and I must admit, they sometimes hit me like a sword but I finally realise that those negative feedback help me improve. If we always get positive feedback on our business, how will we ever learn? Cheers for sharing!